Chagatai Khan: US CIA Director Leon Panetta is lying & Indian Nukes. 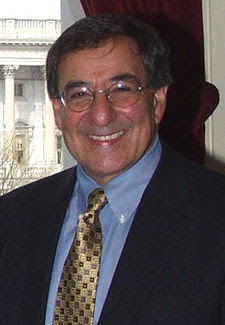 US CIA Director Leon Panetta is lying & Indian Nukes. Today's posting consists of forty documents - whose original classifications range from unclassified to Top Secret Codeword - produced by interagency groups, the CIA, the State and Defense Departments, Lawrence Livermore National Laboratory, and the Defense Intelligence Agency. The documents cover a forty-year time span, from 1958 to 1998. The records were obtained by Archive Senior Fellow Jeffrey T. Richelson while conducting research for his recently published book, http://www.amazon.com/gp/product/0393053830/qid=1142269958/sr=2-1/ref=pd_bbs_b_2_1/103-7743959-3592657?s=books&v=glance&n=283155 (W.W. Norton). The documents show that as early as 1958 the CIA was exploring the possibility that India might choose to develop nuclear weapons. The reports focus on a wide range of nuclear related matters - nuclear policy (including policy concerning weapons development), reactor construction and operations, foreign assistance, the tests themselves, and the domestic and international impact of the tests. Documents from 1974-1975 and 1998 provide assessments of the reason why the U.S. Intelligence Community failed to provide warning of the 1974 and 1998 tests - assessments which are strikingly similar. They also include recommendations to address the deficiencies in performance that the assessments identified. As was the case with France, Israel, and a number of other countries, India's path to a nuclear weapons capability was an incremental and prolonged one. Homi Bhabha, the father of the Indian bomb, moved in the same circles as Frédéric Joliot-Curie and other atomic physicists of the pre-World War II era. Bhabha left India in 1927 to study engineering at Cambridge, but the doctorate he received in 1935 was in physics. After he returned to India in 1939 the Second World War began, and Bhabha found himself stranded. He accepted the position of "reader" in theoretical physics at the Indian Institute of Science in Bangalore. In 1941 he was promoted to professor of cosmic ray research. From the beginning of the nuclear age, U.S. leaders were well aware that civilian nuclear research could advance a nation's progress toward a nuclear weapons capability. Over the last five decades the United States has gathered intelligence on Indian nuclear activities, civilian and military, through all the means at its disposal - human intelligence, open source collection, communications intelligence, and overhead reconnaissance. Those activities, as demonstrated by the documents below, allowed U.S. intelligence analysts to provide decision-makers with far more detailed assessments of Indian nuclear activities than would be available from public sources. At the same time, other documents show that the collective efforts of the organizations gathering intelligence on Indian nuclear activities -- including the Central Intelligence Agency, National Security Agency, National Reconnaissance Office, Defense Intelligence Agency, and State Department -- did not result in U.S. intelligence analysts warning U.S. officials of India's nuclear tests, carried out in May 1974 and May 1998. The documents in this briefing book were, with some exceptions, obtained under the Freedom of Information Act or from the CIA's CREST data base at the National Archives and Records Administration for use in writing Spying on the Bomb: American Nuclear Intelligence from Nazi Germany to Iran and North Korea http://www.amazon.com/gp/product/0393053830/qid=1142269958/sr=2-1/ref=pd_bbs_b_2_1/103-7743959-3592657?s=books&v=glance&n=283155 (W.W. Norton). (W.W. Norton, 2006), by Archive Senior Fellow Jeffrey T. Richelson. (Note 4) Five appeared in a previous National Security Archive Electronic Briefing Book: http://www.gwu.edu/~nsarchiv/NSAEBB/NSAEBB6/index.html India and Pakistan - On the Nuclear Threshold, which contains other documents of interest concerning Indian and Pakistani nuclear activities. The first 16 documents in this briefing book deal with one or both of two questions: does India have the capability to build a nuclear device? and what is likelihood that it will do so? Answering the first question required analysts to examine and evaluate the data concerning Indian organizations involved in atomic energy activities; the availability of resources (uranium, heavy water); the reactors in operation, under construction, or on the drawing board; the ability to produce plutonium or highly enriched uranium; and possible delivery systems. Addressing the second question required analysts to examine the histories of key political and scientific personnel (for information as to their views on nuclear weapons) as well as the domestic political pressures facing the nation's leaders. In addition, there was a need to assess the external pressures faced by Indian leadership - including security threats from China and Pakistan, and pressures to conform to international norms concerning nuclear proliferation. India's May 18, 1974, test settled conclusively the questions of whether and when, but also required the U.S. to venture into new areas, as demonstrated by Documents 17-27. One new task was to produce an independent assessment of India's technical claims concerning the test (particularly its yield). Intelligence analysts also needed to explain why India chose to test, assess the immediate impact of the test, and look ahead in an effort to answer the question, "what next?" It was also vital to examine not only what had happened and was going to happen in India, but to explore why, despite the Intelligence Community's awareness of Indian nuclear capabilities and the incentives to test, it had not been able to provide senior U.S. officials with advanced warning of the test. By the 1980s, the 1974 test was well in the past and there had not been another. The documents from this period (Documents 26-35) thus continued to explore Indian capabilities for building a bomb - particularly the July 1988 CIA assessment, India's Potential to Build A Nuclear Weapon (Document 34), and the factors - both technical and political (domestic and foreign) - that helped shape India's nuclear policies. By the beginning of 1998 India had come close to conducting its second test on several occasions but had pulled back - in 1995 due to American pressure that followed the discovery of test preparations by U.S. spy satellites. That may have helped convince U.S. analysts that despite the pledge by the newly-elected Hindu nationalist BJP-led administration to "induct" nuclear weapons into the Indian arsenal, no nuclear test would actually take place. Thus, an early assessment of BJP policy (Document 36) suggests that a change in Indian nuclear policy was not imminent. Once the test did occur, without warning from the U.S. Intelligence Community, the Community was left, as in 1974, to assess the details of the test and explore its implications (Document 37). As in 1974, it was also necessary for the Community to probe the causes of the failure and determine what steps should be taken to reduce the chances of a similar failure in the future (Document 38, Document 39). This study attempts to evaluate the Indian nuclear energy program with regard to its personnel, facilities (including the Atomic Energy Establishment at Trombay and the Tata Institute of Fundamental Research), resources (including uranium, thorium, and heavy water), achievements, and plans. It also examines relationships with the foreign atomic energy programs and assesses the possibility that the Indian government would pursue military applications. This cable constituted a cover instruction to a requirements statement prepared by the Joint Atomic Energy Intelligence Committee (JAEIC), an interagency committee that reported to the U.S. Intelligence Board. The distribution indicates that the search for information on India's capability to produce nuclear weapons, and its likelihood of doing so, covered both the South Asia and Europe. It also specifies that the recipients should feel free to report on political and economic factors as well as the technical items that were the focus of the JAEIC requirement. This cable transmitted a copy of the press release, issued by the Indian Department of Atomic Energy concerning the construction of a plutonium extraction facility at Trombay. The press release focuses on the start up of the plant, its purpose, and safety factors. This OSI report concerns negotiations for Swedish sale of a heavy water reactor to India. It also reviews the history of September 1961 Swedish-Indian agreement for collaboration in developing the peaceful uses of nuclear energy. It also summarizes the state of the Indian nuclear power station program. This report, from the CIA's Clandestine Service, briefly reports that while India has the capability to develop an atomic bomb the present government does not plan to do so, why it does not, and expected pressures to change its position. This study reports on India's reactors, uranium reserves, nuclear power stations, and capability to produce plutonium. It notes that, "Construction of a plant for plutonium metal production, which is necessary for weapons manufacture, is now under way and planned for operations in 1966; should the Indians so decide, it could be in operation in the fall of 1965." This paper by a senior member of the Defense Department's International Security Affairs bureau, begins with the observation that "India may be near the point of deciding on starting a nuclear weapons program" and goes on to examine the current situation in India. It goes on to explore possible Indian nuclear programs and their costs, the consequences of an Indian program, and a number of other issues - including the impact of an Indian program on proliferation, and U.S. aid leverage. This memo was produced by (or for) OSI chief Chamberlain in response to a request from Johnson on the current status of India's nuclear energy program. It examines the decision whether or not to develop nuclear weapons, the Canadian-Indian Research Reactor, the Chemical Reprocessing Plant at Trombay, plutonium research, resources (including uranium and heavy water), and nuclear power development. This special national intelligence estimate assesses India's nuclear weapons policy for the remainder of the decade. In doing so, it examines India's technical capabilities, the pressures for a weapons program, and the opposition to a weapons program. A final section, "The Indian Decision," tries to assess India's decision calculus and notes that India might try to represent any underground test as being for peaceful purposes. This article states that India's nuclear energy facilities "would enable India to proceed into a nuclear weapon development program at any time" but that "it is believed the Indian government has not yet decided to develop nuclear weapons." The body of the article reports on Indian nuclear energy research (including its plutonium production capability), Indian Air Force weapons delivery systems and which ones could be used to deliver nuclear weapons, and the chances that Indian could develop a long-range ballistic missile. This airgram provides information about various aspects of Indian nuclear capabilities and notes the lack of any evidence that India had decided to build a nuclear weapon as background to a request that the embassy report on any of five topics of information that may become available - including signs of activity in remote areas which might indicate construction of a test site and covert establishment of nuclear facilities. This article notes that despite India's stated policy was to refrain from embarking on a nuclear weapons program "the Indians are reportedly conducting a limited amount of research devoted to reducing the time it would take to develop a weapon once a decision was made." It goes on to provide details on the Canada-India Reactor at Trombay, the plans for a second nuclear power reactor at Rajasthan, India's attitude toward international safeguards, and the amount of weapons- usable plutonium that could be produced at Trombay. This item reports on the views of Dr. Vikram A. Sarabhai, the newly appointed Secretary of the Indian Department of Atomic Energy and Chairman of the Atomic Energy Commission on possible development of nuclear weapons by India as well as providing commentary on Sarabhai's professional and personal background. This cable provides additional information on Indian uranium production. It notes that while certain information about the topic was released by the Indian Department of Atomic Energy, "detailed technical data is withheld for purposes of security." It notes currently "known" ore reserves were restricted to the Singhbhum District of Bihar, and goes on to devote three single-space pages to exploration and development in the district. The cable also examines exploration in other states and economic considerations. This cable on the Madras Power Project describes the progress of construction at Kalpakkam, plans for a fast breeder reactor at the site, and nuclear power in South India. In India's Nuclear Bomb (p.249) George Perkovich described the Madras facility, which would not be completed until 1982, as an "unsafeguarded plant [that] could produce plutonium for explosive purposes as well as for the nascent breeder reactor program." The unredacted portion of this report reports on intelligence derived from NSA intercepts concerning two Indian atomic energy projects, including the Madras nuclear power project. The Top Secret Umbra classification indicates that the intelligence is derived from highly-sensitive communications intelligence collection. On May 18, to the surprise of the U.S. Intelligence Community, India conducted an underground nuclear test at a site in the desert at Pokhran - making it the world's seventh nuclear power and the sixth to test (Israel having achieved nuclear status in 1966 without testing). India claimed as CIA analysts had previously suggested (Document 9) it might that the test was for peaceful purposes. This Top Secret Codeword item in the CIB relays press reporting and public statements by officials of other governments, including Pakistan, and contains analysts assessments of the implications for China. Document 18: Daniel O. Graham, Memorandum for: Director, Defense Intelligence Agency [and others], Subject: Forthcoming Community Post-Mortem Report Concerning the Indian Nuclear Detonation, May 24, 1974. Secret Source: CIA Records Search Tool (CREST), National Archives and Records Administration (NARA), College Park, Md. This memo from Daniel O. Graham, the Deputy to the Director of Central Intelligence (William E. Colby) for the Intelligence Community is addressed to the directors of several intelligence agencies, the JAEIC, and the deputy directors of the three CIA directorates. It informs them that Graham has asked the Intelligence Community Staff to assess the community's performance with respect to India's nuclear test. This analysis begins by accepting Indian claims concerning the depth of the test as well as a yield of between 10 and 15 kilotons. If those numbers were accurate then, judging from the size of the crater and the absence of venting, it appeared that the device had been detonated in hard, dry rock - the type of rock that a peaceful nuclear explosion might be used to excavate. This State Department assessment examines India's motivation for testing, the estimated cost of the testes, reactions from the USSR, South Asia, China, near-nuclear powers such as Japan, and the security of information and materials. In South Asia it reports that "the impact has been hardest on Pakistan." China, it concludes, "probably calculates that the Indian program will not alter the balance of power or threaten China for a number of years." This INR assessment asserts that the initial euphoria of the Indian public after the May 18 test has given way to uncertainty about impact of the nuclear program on development needs and India's status as a non-weapons nuclear state. Specifically, it examines the calculation of benefits, skepticism about peaceful uses, the weapons option, costs of future testing, India and the nonproliferation treaty, and the public's impact on future decisions. Document 22: Intelligence Community Staff, Post Mortem Report, An Examination of the Intelligence Community's Performance Before the Indian Nuclear Test of May 1974, July 1974, Top Secret Source: CREST, NARA, College Park, Md. The 15-page body of the post-mortem has also been excised before release. The partially redacted executive summary does provide some important conclusions, judgments, recommendations: that the U.S. Intelligence Community failed to warn of the test, that the failure was due to the target not being considered a sufficiently high priority and inadequate communications among the elements of the community "whose combined talents were essential to resolving the problem." The need to increase the priority attached to the nth country problem is also noted. Document 23: Daniel O. Graham, Memorandum for: Director of Central Intelligence, Subject: Indian Post-Mortem Report w/att: Executive Summary, July 18, 1974. Top Secret Source: CREST, NARA, College Park, Md. This memo sent by Deputy to the DCI for the Intelligence Community to Director of Central Intelligence William Colby, recommends creation of an ad hoc committee under the chairman of the JAEIC, with representatives from the relevant agencies, to develop specific collection strategies against the nuclear proliferation target in key nth countries. This heavily redacted report on the May 18 test presumably incorporates new information obtained by the CIA and other U.S. intelligence organizations in the months after the test. What remains of the study notes the role of the Canadian supplied reactor in producing the plutonium used in the device. This technical analysis follows up on Nordyke's earlier assessment (Document 19) of the Indian test. He concludes that given the estimated depth of the size of the crater, the depth of the explosion (109 meters), and that the test took place in shale rather than hard rock, the yield was probably 10 kilotons. Source: CREST, NARA, College Park, Md. This memo contains the recommendations and actions taken in response to the recommendations that appeared in several Intelligence Community post-mortems - including the May 18, 1974 nuclear test post-mortem. Five recommendations are listed - concerning the priority attached to proliferation, the importance of HUMINT, the need to insure that imagery requested by analytical elements is exploited by the community's imagery interpreters, technical analysis to HUMINT, and the importance of new analytical approaches. Nine corresponding actions taken in response to the recommendations are listed. Another three were redacted. This brief item notes the possible impact of an India's desire for nuclear assistance from Canada on any Indian plans for a second nuclear test. The one unredacted key judgment of the paper is that "China - not Pakistan - is perceived as the major long-term threat to Indian security. This perception has propelled New Delhi to reject the Non-Proliferation Treaty and full-scope safeguards in order to retain the nuclear weapons option." The body of the paper addresses the dangers to India associated with Indian nuclear decisions, Indian short-term policy responses, nuclear relations with the United States, and other nuclear considerations - particularly technology development. This article reports on a recently published paper by three Indian scientists, which describes "the behavior of certain materials at sufficiently high pressures to interest nuclear weapons designers." The work, according to the article, "is likely part of the Indian nuclear explosives program." The single paragraph of this document that has been released reports on Indian progress in laser isotope separation. 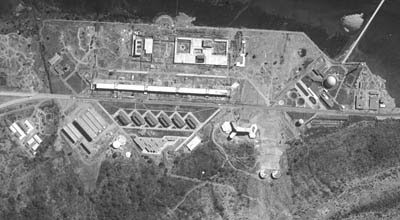 This memo reports on a dispute that dated back to the late 1970s, between the United States and India, over the supply of fuel for the reactors at the Tarapur Atomic Power Station near Bombay. The U.S. had suspended shipments of low enriched uranium in 1980 after India refused to comply with the provisions of the US Nuclear Non Proliferation Act of 1978. This memo reviews the Tarapur impasses, the 1963 cooperation agreement and the spent fuel controversy, India's options for fueling Tarapur, and the outlook. This article, from an unidentified NSA journal, and based on highly-classified communications intelligence begins by noting that India's inability to produce sufficient heavy water, along with its aversion to international safeguards, represents a significant factor in constraining India's nuclear power program. It also notes that India's heavy water facilities or the heavy water they produce are under international safeguards. It goes on to explore the problem at length - examining indigenous heavy water plants, the upgrading of facilities, requirements and operations, and foreign supply. The classification of the references at the back, either Top Secret Umbra or Secret Moray, indicate the extensive use of communications intelligence used in preparing the report. This report focuses both on problems in the nuclear program, specifically with regard to the production of heavy water and operation of a nuclear power station, and the internal Indian government debate on the acquisition of nuclear weapons. With regard to the later, the DAO reports on the comments of Indian prime minister Rajiv Gandhi at a joint conference of military officers. The unredacted version of this report discussed nuclear weapons-related research and development, nuclear test preparations, fissile material (plutonium and enriched uranium), potential delivery systems, military training, and political aspects of nuclear weapons development. It also provided information on India's principal nuclear weapons-related facilities, the ranges of India's nuclear capable aircraft, and India's nuclear diagnostic equipment. The redacted version provides some information on nuclear diagnostic equipment, research reactors at the Bhabha Atomic Research Center, and India's nuclear principal nuclear weapons related facilities. One portion of this heavily redacted item reports on India's declaration that it will not purchase foreign enriched uranium but will fuel its Tarapur reactor with plutonium extracted from Tarapur's spent fuel. It goes on to discuss the two risks that such a decision holds for India. This paper, published less than a month before India's nuclear tests of May 11, 1998, reviews a series of domestic and foreign policy challenges facing the new Hindu nationalist Bharatiya Janata Party (BJP) administration. Notable for its absence is virtually any explicit discussion of the nuclear issue. When it does discuss the issue (p.8), it suggests that a decision to alter India's policy on nuclear weapons is not imminent. One of the pledges of the Hindu nationalist Bharatiya Janata Party (BJP) in its 1998 election campaign was to induct nuclear weapons into India's arsenal. It carried out that promise with two sets of tests on May 11 and 13 - to the surprise of the U.S. Intelligence Community. Among other topics, this paper examines the questions of why India chose to test, which Indian official's knew of the plans to test, and the BJP's next moves - both externally and domestically. In the wake of the Intelligence Community's failure to provide warning of the Indian tests, Director of Central Intelligence appointed a panel of outside experts, chaired by Admrial David Jeremiah, a former vice-chairman of the Joint Chiefs of Staff. The actual report remains classified, but an unclassified list of recommendations mentions specific recommendations in four different areas - analytic assumptions, collection management and tasking, manning and training and organizing and integrating the Intelligence Community. At a press conference at CIA headquarters, Admiral David Jeremiah provided reporters with an unclassified description of his group's findings concerning the U.S. Intelligence Community's failure to anticipate the Indian tests of the previous month. He talked about the problems in collecting information about the indigenous Indian program, analysts who refused to believe that the BJP (see Document 36) would carry through on its promise to test, and discussed his recommendations. He also responded to questions ranging from the seriousness of the intelligence failure, the role of Indian security measures in preventing U.S. detection of test plans, to whether with warning of India plans the U.S. government could have taken diplomatic action to prevent the tests. This unclassified background paper was prepared for Senator Tom Daschle and his staff prior to their trip to India and Pakistan. It reviews the size of the two nations stockpiles and the systems they possess to deliver the weapons, their attitudes toward the various nuclear treaties (the Non-Proliferation Treaty and the Comprehensive Test Ban Treaty), the intention of each nation to improve its nuclear weapons, India's draft nuclear policy, and each nation's policies with regard to the authorization of the use of nuclear weapons. University of California Press, 1999), p.16; Raj Chengappa, Weapons of Peace: The Secret Story of India's Quest to Be a Nuclear Power (New Delhi: Harper Collins Publishers India, 2000), p. 74. 2. Perkovich, India's Nuclear Bomb, p.16; Chengappa, Weapons of Peace, p. 77; George Greenstein, "A Gentleman of the Old School: Homi Bhabha and the Development of Science in India," American Scholar, Summer 1992, pp. 409-419. 3. Perkovich, India's Nuclear Bomb, pp. 21-22; "Department of Atomic Energy: Milestones,"
www.barc.enet.in, accessed February 28, 2004.